Let’s start with the good news. On Oct. 13 in Israel, more than 300,000 students started the academic year at universities and colleges around the country. In the past decade, the percentage of Israelis accepted into institutions of higher learning has increased from some 20% of the relevant age group to almost 50%. Since the mid-1990s, Israel has ranked third in the number of scientific citations (relative to country wealth) and third in the number of scientific publications per million residents. 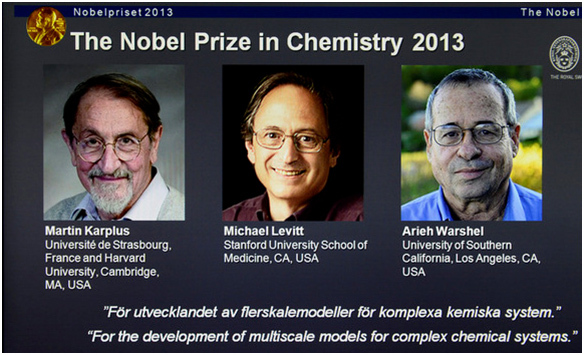 Since 2000, five Israeli scientists have been awarded Nobel prizes. Daniel Barenboim, Pinchas Zukerman, Daniel Kahneman, Haim Saban and thousands of other Israeli musicians, scientists and entrepreneurs who bestow honor on their state — are they all “traitors”? The timing of Dayan’s statement, on Oct. 6, days before the Nobel Prize committee announced the American laureates of Israeli origin, proves that the head of the Israeli national lottery, Dayan, was not blessed with much luck in this case. On the other hand, the coincidence of Dayan’s outburst — and before that the critical remarks by Finance Minister Yair Lapid against Israelis who “descend” to Germany — and the Nobel prize awarded to two Israeli migrants moved the Iranian threat off the Israeli agenda in favor of a discussion about the crisis in Israel’s system of higher learning, research and development. Official data indicate that the increasing flight of Israel’s finest scientists, mostly due to the lack of research means, threatens the country’s security and welfare no less than the unborn Iranian bomb. Israel’s strategic asset, dubbed its “qualitative advantage,” is eroding. Israel has these scientists, who enjoyed generous research and development budgets, to thank for the advanced military means acquired by it throughout its 65 years of existence. In January, the Central Bureau of Statistics published Families of Israelis Abroad: Who Moves Where?, a comprehensive study edited by Ayelet Cohen-Castro and based on the profiles of 34,000 families of Israelis, some living abroad and others who returned to Israel between 1996 and 2008. They all had at least one child born abroad and had been away for at least one year. The study found that the relatively high rate of emigration to the United States of advanced degree holders is influenced by a lack of positions that would permit their integration and would guarantee them a suitable position among senior faculty in Israeli academia. The policy of shrinking university staff has also led to a narrowing of the subject matter that universities can offer students and global research that can be conducted, as well as placing a heavier burden on remaining staff. This teaching load makes it harder for researchers to excel in research, a fact that places them in an inferior position compared with researchers from leading universities in the West. A position paper compiled in April 2012 by Ami Wolenski for the Taub Center shows that Israel’s national expenditure per student plummeted to a third of the expenditure in the 1970s. Public investment in a student in Israel is about half that in the United States ($3,100 annually in Israel compared with $7,200). The ratio of students to senior lecturers has gone up, from 17 in 1990 to 24 in 2009. In several institutions, the ratio is as high as 50. The accepted ratio in the Western world is 10 students for every senior lecturer. The median age of a senior staff member in Israel is 53.5, compared with 46 in 1980. Some 50% of senior staff at universities are over 55 (compared with 32% in the United States and 16% in the United Kingdom). Jonathan Levav, 37, an expert on marketing and decision making at the top-ranked Stanford University Graduate School of Business, epitomizes the depth of the crisis. Levav, who was made a professor at prestigious Columbia University at the age of 27, is invited to speak around the world about his research, including some he conducted jointly with the internationally renowned [professor of psychology and behavioral economics] Dan Ariely, another “descender-traitor” according to Dayan’s terminology. Levav says that at the marketing department at Columbia, where he taught, there were five other Israeli lecturers and an additional six at the accounting department. “We all bemoan the state of the universities there, and wonder how stupid we’ll feel when our parents die and we’re still here,” he says. One of Stanford’s biggest draws for Levav was the large Israeli community there. “My biggest worry here is that my kids aren’t getting the Zionist connection that I had and have,” he says. President Shimon Peres and Prime Minister Benjamin Netanyahu did well by congratulating the American Israeli or Israeli American Nobel prize laureates. The fruits of the ingenuity of great researchers, as that of great artists, and even that of great sportswomen, are the assets of humanity as a whole. Any reduction in the means laid out at their disposal by the public and any insult to their dignity betrays the honor of the state itself.